This Friday, October 14th, will see the release of two new live titles from legendary German hard rock legends SCORPIONS. Live In 3D - Get Your Sting & Blackout will be available on Blu-ray disc and on CD. The band recorded this concert as part of their farewell tour, in Saarbrücken on April 15th, 2011, with 11 cameras and 3D Blu Ray DTS HD and 5.1. The band perform their greatest hits, including 'Wind Of Change', 'Blackout', 'Rock You Like A Hurricane', 'Still Loving You', and 'Send Me An Angel'. CD details here. Blu-ray details here. 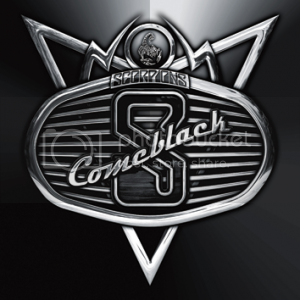 Scorpions will be releasing an album of reworked band classics on November 4th via Sony, entitled Comeblack, as a CD and double-vinyl. 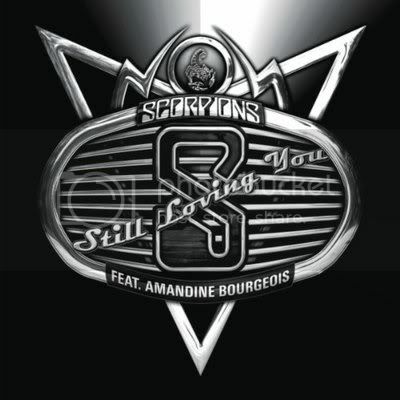 The first taste of the album is a re-recorded version of their 1984 classic ballad 'Still Loving You', featuring a duet with French 2009 Pop Idol Winner Amandiner Bourgeois. The track is currently streaming on the website Charts In France at this location. The single will be available for download in France on October 10th at this location.